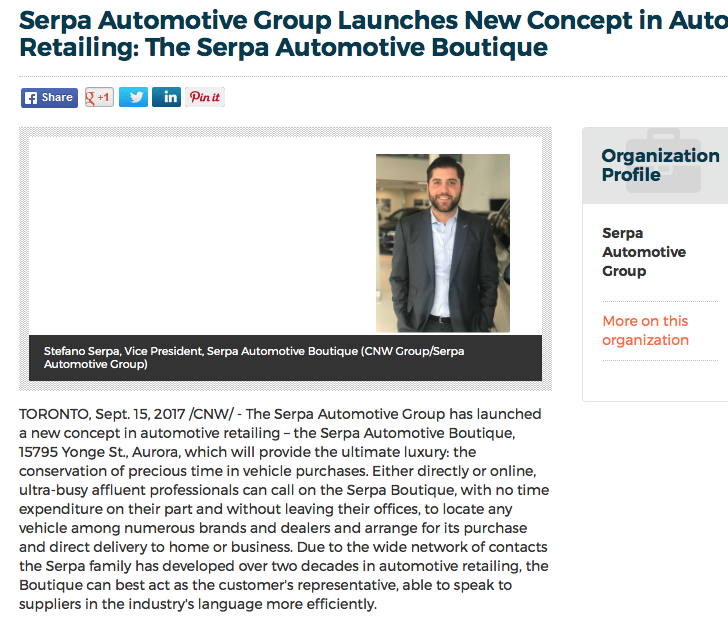 Serpa Automotive Boutique > News > It’s official: the Boutique is on the Canada Newswire! It’s official: the Boutique is on the Canada Newswire! We are very excited to get going! Come see us soon.